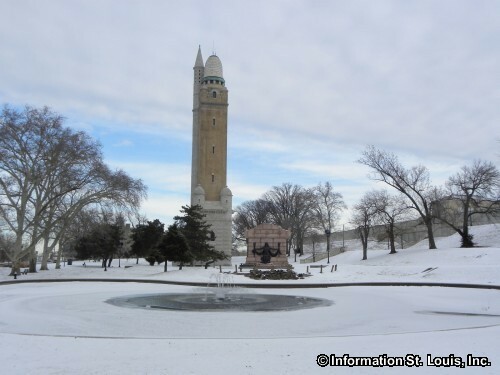 CANCELED DUE TO NEEDED REPAIRS - Tour the Historic Compton Hill Water Tower. On the first Saturday of each month, March through November, the Water Tower is open to the public between 12pm - 4pm. Visitor can climb the 198 step spiral staircase to the top of the 179-foot tower to take in the incredible views of the city of St. Louis. An $5 admission fee is charged; children 5 and under are free. The water tower is not handicapped accessible.